Post #35. 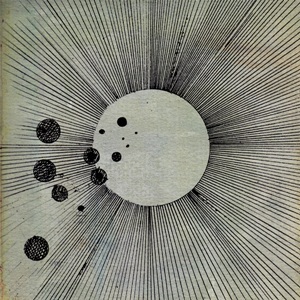 Cosmogramma by Flying Lotus. I don’t expect everyone to like FlyLo. His beats are complicated, choppy, and craaazy. This album, which comes out next Tuesday, might even be the most difficult of his 3 LPs to get into right off the bat. I didn’t even like the album much until I got to track 10, Do the Astral Plane, which is simply phenomenal. After a couple of listens I really began to appreciate the way the album unfolds and I can anticipate where beats get chopped up and drop off. Stream the entire album now on FlyLo’s Myspace (the songs in the player up through Galaxy in Janaki). Believe it or not, Do the Astral Plane is my favorite on the album despite the Thom Yorke collab … And the World Laughs with You. You are currently browsing the archives for the breakbeat category.